Dr. Marie I. Bodack earned her B.S. Degree in Psychology in 1994 from Fairfield University. She earned her Doctor of Optometry degree from The State University of New York State College of Optometry in 1998. She completed a residency in Pediatrics and Binocular Vision at the Pennsylvania College of Optometry. She is a Fellow of the American Academy of Optometry (FAAO) and a Diplomate in its Binocular Vision, Perception and Pediatric Optometry Section. She is also a Fellow of the College of Optometrists in Vision Development (COVD) and currently serves on its Board of Directors. Dr. Bodack has held faculty appointments at SUNY Optometry and later at Cincinnati Children’s Hospital Medical Center. She currently serves as Chief of Pediatric Primary Care at Southern College of Optometry. Dr. Chris Borgman is currently a clinical instructor and faculty member at the Southern College of Optometry in Memphis, TN. He earned his Bachelor of Arts degree in biology at Central College in Pella, Iowa and his Doctor of Optometry degree from the Illinois College of Optometry. Following graduation, Dr. Borgman completed a one-year residency in Primary Care and Ocular Disease at the Illinois College of Optometry/Illinois Eye Institute in Chicago, Illinois. Prior to joining the faculty at SCO, Dr. Borgman spent three years in a multi-doctor, private ophthalmology practice in Des Moines, Iowa which specialized in primary care, ocular disease, cataract surgery, and laser refractive surgery. He is a member of the American Optometric Association (AOA), the Tennessee Association of Optometry Physicians (TAOP), West Tennessee Optometric Physicians Society, and is a Fellow of the American Academy of Optometry. He has authored many journal articles published on the topics of various ocular disease conditions, and has lectured in multiple continuing education venues on the topics of optometric billing/coding and other primary care ocular diseases. Dr. Borgman currently supervises students in a clinical setting at The Eye Center at SCO and is also a course instructor in the classroom for the Ocular Pharmacology, Integrative Analysis, and Systemic Pathology courses at SCO. His areas of professional interest include: didactic and clinical education of students as well as primary care, ocular disease, ocular manifestations of systemic disease, neuro-optometry, and billing/coding. Dr. Borgman enjoys spending time with his wife and daughters, and is a slow-pitch softball and baseball enthusiast. Dr. Cisarik is a 1987 graduate of the Pennsylvania College of Optometry. She practiced optometry for 2 years in a large group practice and 9 years with an ophthalmologist in the mountains of southwest Virginia. Dr. Cisarik returned to school and received her PhD in Vision Science from the University of Houston College of Optometry in 2005. She has teaching experience at the University of Houston College of Optometry, Nova Southeastern University College of Optometry, and has been at Southern College of Optometry for the last 7 years. Dr. Cisarik teaches visual perception to first year students, basic concepts of binocular vision to second year students, and neuro eye disease to third year students. Additionally, Dr. Cisarik works with students in the Summer Research Program at Southern College of Optometry, helping them to develop small projects that investigate aspects of perception and their relationship to clinical measures. Dr. Lindsay M. Elkins received her Bachelor of Science degree in biology at the University of North Carolina at Chapel Hill in 2003. She completed her Doctor of Optometry degree at the Southern College of Optometry in 2007 and a hospital based Primary Care residency at the Memphis Veterans Medical Center in June 2008. She joined the SCO faculty in July 2008 and currently holds the rank of Assistant Professor. 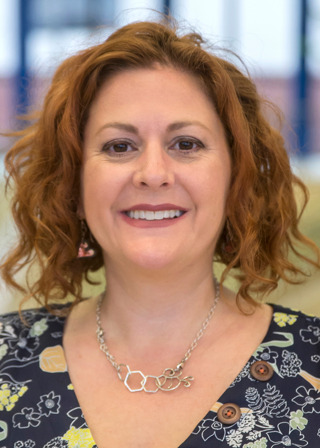 Her roles include Coordinator of School Screenings, Clinical Lab Director for The Eye Center where she also serves as a clinical instructor in the Adult Primary Care clinic. Dr. Elkins received the Young Alumni award from SCO in 2014 and is the current faculty advisor for the South Carolina Students’ club, SCO chapter of Beta Sigma Kappa, and also serves as the Vice Chancellor of the Bet Sigma Kappa World Council. Dr. Elkins is certified by the National Board of Examiners in Optometry in Advanced Competence in Medical Optometry (ACMO). She is a member of local, state, and national optometric organizations and has been an active fellow of the American Academy of Optometry since 2011. 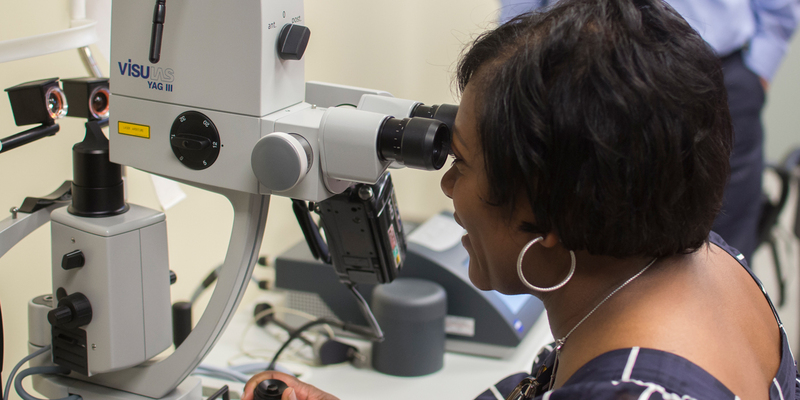 Prior to joining the SCO faculty, Dr. Ensor served as Assistant Center Director at Eye Health Partners of Middle Tennessee, a multi-location optometric referral center in Nashville, Tennessee. In addition to serving a large patient base, Dr. Ensor presented lectures on ocular disease and surgical co-management to a network of over 300 optometrists and also served as the supervisor of the Ocular Disease residency program. His professional areas of interest include glaucoma, retinal pathology, surgical co-management, and the promotion of optometric residency programs. Since becoming a faculty member, Dr. Ensor has lectured both locally and internationally. He is also currently teaching the Systemic Pharmacology courses at SCO. Dr. Ensor is a member of the American Optometric Association, Tennessee Association of Optometric Physicians, and the West Tennessee Optometric Physicians Society. Prior to joining the SCO faculty as Assistant Professor, Dr. Hauser served as Clinical Director and Research Coordinator at an ophthalmology referral center in Memphis, Tennessee. Dr. Hauser has authored several articles focusing on the management and treatment of ocular surface disease, the anterior segment and practice management. She has been an invited speaker across the United States and internationally. Dr. Hauser provides clinical care to patients at TearWell: Advance Dry Eye Treatment Center at Southern College of Optometry. She is, also, founder and senior consultant for Signal Ophthalmic Consulting (SOC). SOC designs premier care plans for optometry and ophthalmology practices with an emphasis on dry eye care and cataract/refractive surgery. Dr. Haynes is a graduate of Southern College of Optometry. 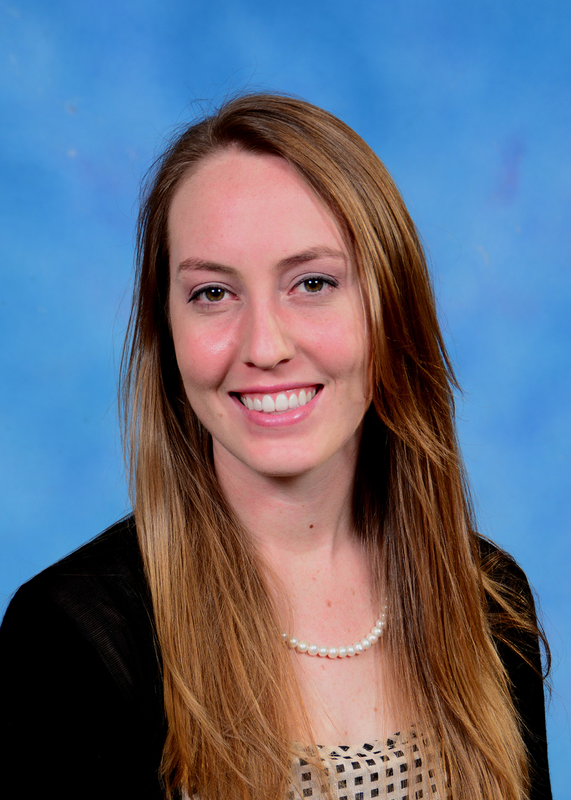 Post Graduation, she completed a primary care residency at the Memphis VA Medical Center and then a two year vitreoretinal optometric fellowship at Charles Retina Institute. She is currently an associate optometrist at Charles Retina Institute and consulting faculty at Southern College of Optometry in the Advanced Care Ocular Disease Clinic. She is a member of the American Academy of Optometry. Dr. Shaleen Ragha is a clinical instructor at Southern College of Optometry, where she also received her Doctor of Optometry in 2016. Following graduation, she completed her postgraduate residency in primary care at the Memphis VAMC. She earned a Bachelor of Science degree in microbiology at the University of Georgia. 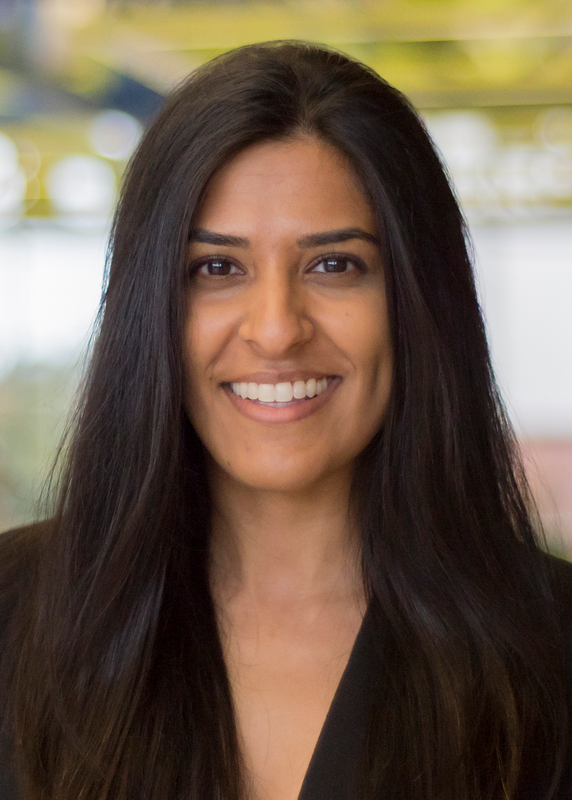 Dr. Shaleen Ragha currently sees patients and supervises students in a clinical setting at The Eye Center at SCO, in the primary care and ocular disease department, as well as at The Focal Point. Dr. Ragha is licensed to practice in Tennessee and is a member of the American Optometric Association (AOA) and Tennessee Association of Optometric Physicians (TAOP). Her areas of professional interest include primary care, ocular disease, and ocular manifestations of systemic disease. She has authored numerous publications on various topics in ocular disease. She particularly enjoys volunteering on a local and international level. Dr. Ragha also enjoys exploring Memphis and spending time with her friends and family. Dr. Glen Steele is a professor at the Southern College of Optometry in the Pediatric Service with special emphasis on the vision care needs of the infant and young child. A past president of both the College of Optometrists in Vision Development and the Optometric Extension Program Foundation, he is currently chair of the American Optometric Association's InfantSEE Committee. Dr. Steele has lectured extensively throughout the USA and internationally in the area of infant vision development and care. Most recently, Dr. Steele was the recipient of the William Feinbloom Award from the American Academy of Optometry for his work with InfantSEE. This award was presented at the annual meeting of the Academy in Boston, MA.